We provide an affordable option to rent our facility for School or Business events. Take a field trip to the Dallas Cinema and watch a movie for a Holiday Event or Graduation Event. There's also movie education, independent movie production and many other uses with our state of the art digital projection system. With 200 seats your corporate seminar can include our state of the art digital projection system to view your PowerPoint presentation or video. 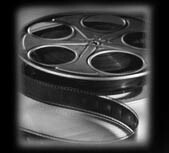 Watch a movie for Employee Appreciation, Christmas Party, Customer Appreciation or your Marketing Event.